SNET took part in the inauguration of a new Data Science & Engineering chair at Eötvös Loránd University (ELTE)  in Budapest. It is a great step towards building future European scientific cooperation between Technische Universität Berlin  (Service-centric Networking/SNET ), Telekom Innovation Laboratories  (T-Labs), ELTE and Magyar Telekom . 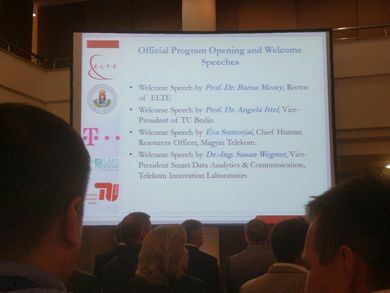 More than 150 participants joined the event, including representatives of the Hungarian academic world, business and innovation politics as well as influential and inspirational colleagues from Deutsche Telekom AG  and its international subsidiaries. „Success can only be expected from innovative and long-term investments that are based on cooperation. 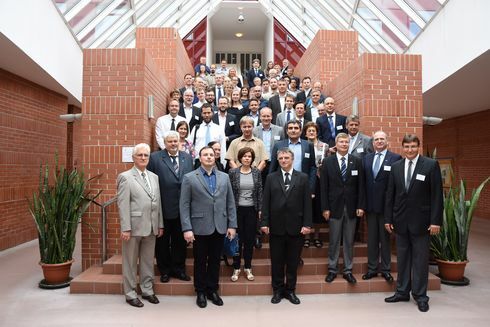 The Data Science and Engineering as well as the future education and research projects to be nurtured by it are opening a new era in higher education in terms of the international cooperation between the corporate and academic fields,” says Dr. Barna Mezey , the rector of the Eötvös Loránd University of Sciences.